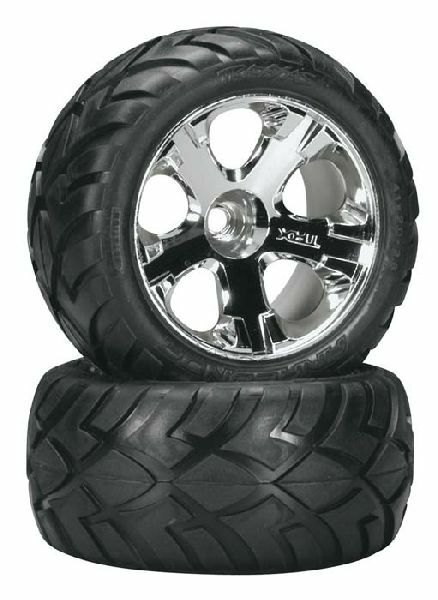 These TRA5577R, are glued Front All Star Chrome Wheels and Anaconda Tires w/Foam Inserts for the Traxxas Jato. FEATURES: Wheels are made of chrome coated plastic. INCLUDES: (2) Pre-mounted Tires and Wheels.